Being someone with a background in online marketing I’ve always thought it would be great to apply those skills to an offline business. My theory was always that the online business environment is so competitive and advanced, the strategies used there would have even more impact in an offline setting. In the last few years, I’ve been able to do that since establishing Black Hops Brewing with 2 mates. Luckily for me, my co-founders Eddie and Govs are also pretty handy online, so we’ve all been able to contribute when it comes to online marketing. Here are some of the ways we’ve done it. You can lay the foundations for the success of your offline business by creating a robust website upfront. When starting out with Black Hops, one of the first things I did was make sure we had a really good website before we even had a business. Seems kinda crazy but I can build a site on WordPress in an hour or two for virtually $0 and we wanted to look legit from day 1. Using WordPress means we are on a platform that can grow as we grow and ultimately do anything we want it to do. It’s still the website we have now, and now holds dozens of blog posts, press release, our podcast and much more. Building your website upfront can also give you the competitive edge over those offline businesses that choose not to focus on their website until after they launch. Social media is something I’m thinking about any time I’m launching anything. I’ll even consider the availability of social media handles when I’m choosing a name for a business, it’s that important. With Black Hops we had the major social media handles registered from day 1. We couldn’t get @blackhops in most cases so we opted for @blackhopsbeer because it was shorter and it means we could have that handle on every platform. Tools like namechk, let you check the availability on a bunch of platforms at once. Eddie runs most of the social media at Black Hops and our accounts have been growing nicely. The @blackhopsbeer account on Instagram is about to pass 3,000 followers prior to launch. Eddie also looks after the Black Hops Brewing Facebook Page, which received a real shot in the arm as a result of our Pozible crowd funding campaign and Call of Duty beer, at the start of the year. And Govs is in charge of the Black Hops Snapchat account. Both he and Eddie are doing a great job in looking after their respective social media accounts for the business. Those that know me know that I’m big on delivering lots of quality blog content. Putting out content in a transparent way is an epic trust builder and it translates over time to increased consumer buy-in. This was a key learning for me when I launched WP Curve, and I’ve brought this across and applied it to our offline business model with Black Hops. I’ve maintained blog posts for Black Hops from day one. Keeping a pre-launch blog is not something that many other offline businesses do, so having one has given Black Hops a unique edge. We’ve looked to share every step of the Black Hops journey and kept an ongoing dialogue going with our startup strategies and decisions, such as our beer recipes. The by-line when you land on the Black Hops landing page reads ‘the least covert operation in brewing’..enough said! Networking with other bloggers, with the associated benefits of mutual linkage, has resulted in us ranking for a bunch of keywords before we’ve even launched. It means that we’re one step ahead of a bunch of existing companies already. Content marketing for offline businesses in action! Having a pre-launch podcast for Black Hops went hand in hand with churning out ongoing blog posts. We’re one of the only breweries that has a podcast, giving us another point of difference to leverage off. We’ve had great success with our Black Hops podcast. It’s called Operation Brewery and is in a ten- part documentary style format, which was inspired by the StartUp series of podcasts. We’ve done nine episodes so far and from the feedback we’ve received we know that lots of people are listening to it and talking about it. Every time we go to an event people come up to us and let us know they love it which is super cool! At the start of this year we decided to launch a crowdfunding campaign via Pozible to help get Black Hops off the ground. I’d seen people within my business and social circles have great success with it before, which convinced me that it would be a viable option for Black Hops. Turns out we were sailing uncharted waters, aiming to become the first brewery to successfully launch via crowd funding! 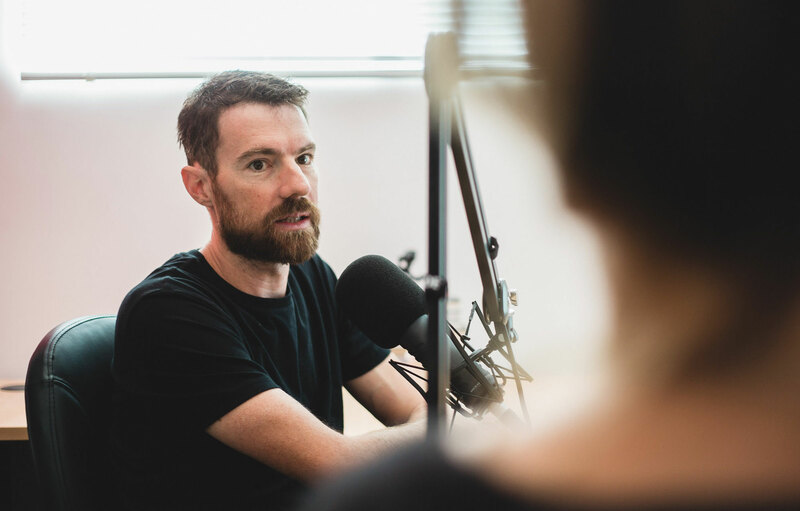 To achieve this we communicated regularly and transparently via our Pozible page, delivering ongoing project updates and offering a range of supporter pledge options which were enthusiastically embraced. We offered everything from entry level $5 and $10 pledge options through to early bird, full supporter and legend packages, where we gave a lot to receive a bit more back. In all we had 165 supporters pledge over $17,000, easily surpassing the $10,000 minimum required to receive the funding (we actually hit the goal on day 1). So if you’re starting up an offline business, I’d recommend that you consider using a crowdfunding platform such as Pozible to help get you up and running. It enables you to front-load cashflow but also more importantly, start to build an online audience. Constantly looking for opportunities for media exposure, especially press that links back to us and boosts our site ranking, has delivered a heap of valuable exposure for Black Hops. WP Curve business received a lot of press early on from appearing in publications such as Forbes, Inc Magazine and Fox News. And I’ve taken every opportunity to leverage off my existing reputation and contacts to help with promoting Black Hops, either through the media or by networking with peers at conferences or doing podcasts. Eddie and Govs have also been active in rallying up local press contacts and between us we’ve been able to get some good features. Build your media contact lists and don’t be afraid to call on them if you’ve already established a credible reputation through your previous successes. If you’ve built an online reputation through previous business or personal success, you can leverage off this authority to generate credibility for your offline business. Transferring this ‘cred’ across is something I’ve done myself, using my reputation with WP Curve and 7 Day Startup to open doors and deliver exposure for the Black Hops brand. Look to promote your achievements whenever you can. If people know that I run a successful online business and regularly appear at public speaking engagements they’ll be more likely to take my word that Black Hops brews great beer. “Proof” is a really important part of marketing, and you can transfer it from project to project. Also don’t be afraid to use your existing online social media networks and email lists to help promote your offline venture. Most offline businesses just try to open and sell their products. Online businesses don’t think this way. They focus on building an audience first before monetizing the audience. This way of thinking has been useful in to me in an offline business. For Black Hops we’ve already built a decent email list and gained an audience on iTunes, social media and via our Pozible crowdfunding campaign. We’re working on a loyalty program for when we open as well so we can continue to build the list. If you want people to take action, email is still the top dog! Another thing you can do to grow your audience is to create affiliations with other industries and audiences. We did this with the gaming market when we created the world’s first Call Of Duty Craft Beer, to tie in with the release of the online game Call of Duty: Black Ops III. Seizing the opportunity to leverage off the name association linkage, this strategy gained us valuable exposure and grew our audience amongst online gamers. As well as looking for opportunities to grow new audiences, don’t ignore opportunities to use your personal authority to bring existing audiences across from any other businesses you have. The more people you have on board the more likely you are to trigger a buying response as your offline business gains traction. If you’re going to create content for people to engage with, then you’d better make it interesting and relevant. Storytelling is a great way to do this. Sharing your experience in business builds trust with your audience. Storytelling is something I’ve done with all of my businesses. WP Curve was launched to my audience after building it by doing monthly income reports. 7 Day Startup was built off the back of my story launching WP Curve. Content Machine is a #1 best-selling book, that is the story of how I marketed WP Curve. Stories are everywhere, you need to seek them out and don’t be afraid to draw attention to them. With Black Hops we’ve done this every step of the way via the blogs and Operation Brewery Podcasts. Early on it was about 3 guys sitting around a bar talking about brewing and then making it happen. Then it was about 3 guys without a brewery brewing a beer with Call of Duty. Then it was about being the first brewery in Australia to launch via Crowdfunding. There are cyclical stories too. At the moment we are in Melbourne for the Great Australasian Beer SpecTAPular (GABS). Each year we brew a crazy beer for the event and do our best to tell the story. Last y ear it was Oyster KillPatrick Stout (yes it had oysters in it). This year it’s Assault Trifle, which has been brewed to taste like trifle in a beer! We figured that ‘trifle in a beer’ was bound to draw attention, so we crafted a press release to highlight this, and made the Gold Coast Bulletin newspaper for the second year running. Before I launched WP Curve, I had nothing but failures in business. I’d tried to run businesses by myself and with Curve I decided not to go it alone. In the startup world, people very early launch successful businesses on their own. Co-founding teams are essential and I knew this going into Black Hops. Trying to do everything yourself is a recipe for burnout, plus no one can be great at everything. Build a team and own a smaller percentage of a bigger pie. This is how tech startups and online businesses think and how local businesses should think too. Let me know in the post what you think. If you are interested in online business check this out. The 7 Day Startup community is a free Facebook group fast approaching 7,000 members. Click here for free access. Can’t wait to see you there! 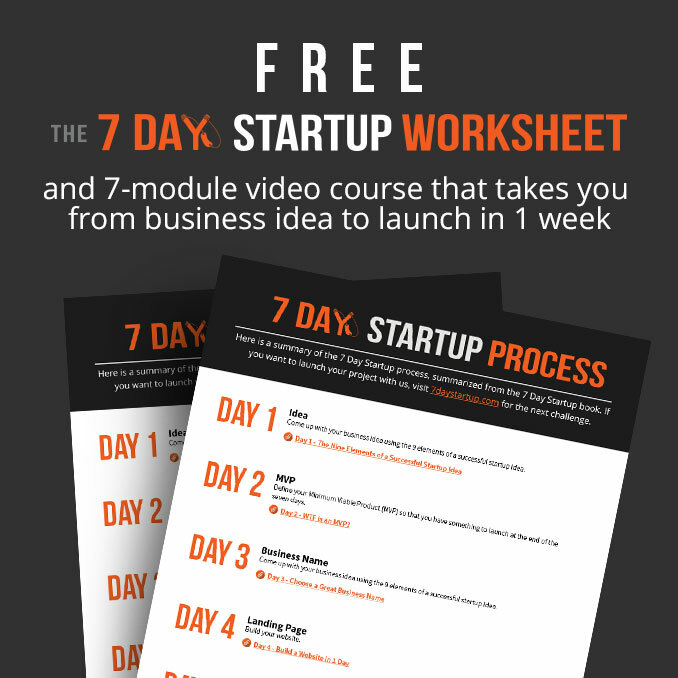 Also I have my free 7 Day Startup challenge coming up on 12 July, check it out below. And as always I’m interested in finding out your thoughts on our weekly topic. So let me know your experiences and thoughts in the comments below. Featured image by Chad Barnier from Rialba. Great article, Dan. This gave me the confidence that I can use my online chops to build an offline business I’m working on as well. Congrats on the pre-launch success of BlackHops, including the IG growth and press you’ve captured so far. Thanks mate, keep me posted! Will do. I’m gonna shoot you a FB request after I return from vacation in about 2 weeks. We’re in a few of the same groups, including Foundr’s IGD and your 7 day startup group, so I’m sure we have mutual friends in the space. Such a great breakdown Dan… love your posts! I would love to hear nuts and bolts of usable strategies for using digital content to motivate in-store purchasing and increase customer base. I’ve yet to find it, since most social media advice is geared for online purchasing. I think the problem is it’s just too hard to measure, there are too many intangibles. The way I see it, if you are able to use online strategies to grab some attention and build some trust then you’ve done your job. Actually tying back in-store visits and purchases to online content is very difficult to measure and wouldn’t be possible without a big budget and a lot of data I don’t think. Yes, very difficult to measure! What do you think are the primary elements in trust building essential to a brand’s online presence? @akarvelsson:disqus curious… are you only selling your product via in store retail?? or a ix of off//online? Great read. By ‘early’, I think you meant ‘rarely”. I found that to be very true.